As the author of 19 hardbound full-length monographs on artists from the Pacific Northwest, California, Texas, Missouri, Japan, and Sweden since 1993, I have been privileged to fulfill a long-time aspiration, that of "graduating" from writing short reviews and magazine feature articles to researching and writing full-length texts on individual artists, living and dead, in order to make a greater contribution to American cultural history, as well as bolstering regional art history across the nation and the world. In the process, it has been salutary and often abruptly educational as I interviewed friends, family members and colleagues where pertinent and appropriate, in addition to spending hours and weeks, in some cases, poring over letters, notebooks, old reviews and catalogues, in attempts to crystallize accomplishments and contributions the artist in question has made during his or her lifetime. What I learned, in some cases years after a given book was published, has led me to share with readers a few of the cautionary tales and instructional anecdotes I've gathered along the way. What I expected was often overturned by what I discovered, leading me to be more circumspect in some cases, more probing and nosy in others. Since an artist's family or foundation often funded the book, all my diplomatic resources and skills were called on, often learned along the way, too late to have made a difference at the time in gaining all the information I sought. One. Beware the artist's spouse, partner, widow or widower. Seemingly engaged and supportive, those people closest to an artist can be secretly or unconsciously resentful or angry at being left behind by death or divorce. My earliest book, published in 1993, in retrospect was hampered to the degree that revealing portions of the artist's Fulbright diary in Finland were withheld from me by his widow, forcing me to work only from photocopies, as I never gained access to the original manuscripts. In this case, I became convinced decades later that the artist may have been a CIA agent due to his interest in eastern Europe (he made 15 subsequent trips) and because of an affair with a leading Finnish artist. His bisexuality, which was also concealed from me, compromised him into agreeing to work as a civilian agent during the Cold War. Two. Beware the artist's children. This also starts out as a fully cooperative, enthusiastic relationship, especially because the book project may be initiated by the artist's children, either after the parent's death, or in some cases when he or she is still alive. Taking the well known example of Picasso, it is true that the more successful the artist is, the more neglected or abused the children are likely to be. Being aware of this can help the biographer mediate between the family's good and bad feelings, the latter not often expressed openly. Full-time teaching loads can restrict time left for studio work, which usually supersedes parental duties. As a result, children feel torn between loyalty to a successful, celebrated artist-parent and resentment at being deprived conventional parent-child activities such as vacations, attending sporting events, encouraging competitive creativity, or becoming subject to outright abuse. They can stop a book project outright, as has happened to me on multiple occasions, rather than go along, only to place more obstacles such as research access or funding in front of the putative author. Choice of author can also be manipulated by children, sometimes to the detriment of the late parent, choosing someone who did not know the artist well, or who is overly sympathetic to the adult-child-funder's point of view. Three. The book can attract interest in a retrospective. As a freelance writer, I usually seek out book projects about artists who interest me, but very occasionally, something will fall in my lap, complete with funding. Normally, however, artists' families and dealers think that if an art museum is involved, it will handle or cover all the book funding. This is simply not true. With tightly restricted funds, smaller museum budgets, and shifting priorities, the artist may not meet the museum's curatorial and publication criteria. For example, he may be a dead white male, currently the lowest priority for prospective nonprofit funders. 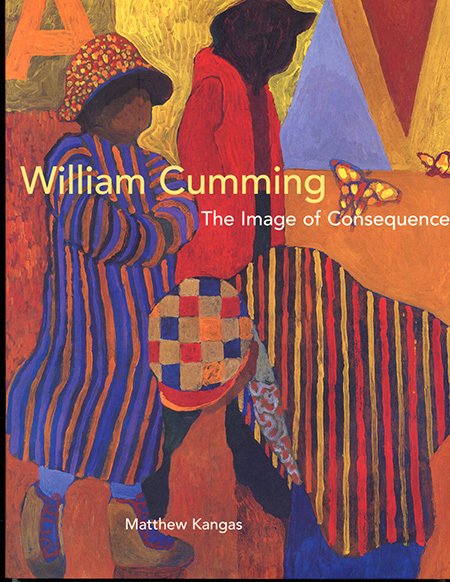 While many minority and women artists are more than deserving of such recognition, if special affirmative-action funds are not available, such as the Jacob Lawrence Series at the University of Washington Press, it can be nearly impossible to underwrite such a project. If a minority artist in question, say an African-American sculptor, is accomplished and recognized, but does not work in a social-political vein, interest can wane. However, if funding can occur, regardless of racial quotas or other snags, such publications can attract programming attention from interested art museums. This way, they can have their exhibit and include a pre-funded catalogue. I have seen art museum directors and curators change their minds before my eyes as they inspect the forthcoming publication.